Hey cakenistas. These past few week has been rainy and grey. Rainy days can have a tendency of pulling the laziness out of us and usually call for relaxation and a movie. 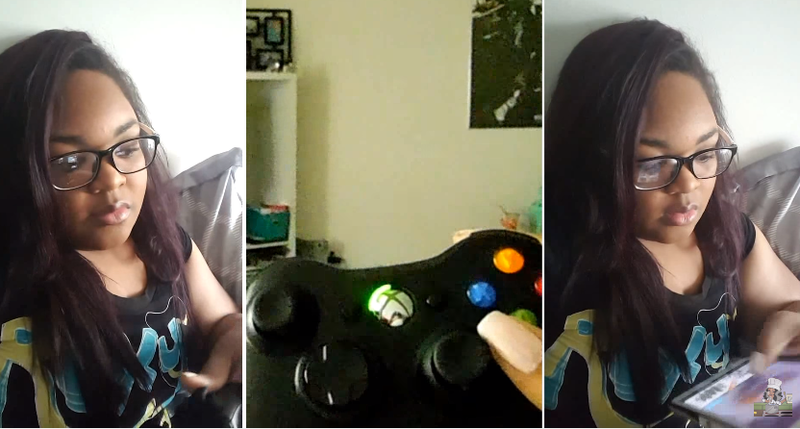 I finally had a break in the middle of finals week and took the opportunity to lounge around and play a few games. Of course, I was also in the mood for something sweet but who wants to bake when they're trying to relax? Not me. So, I created the ultimate combo: one of my favorite drinks - hot chocolate with a dash of cinnamon (if you haven't tried it, you're missing out) and chocolate cake. Why not kill 2 tasks with 1 stone. 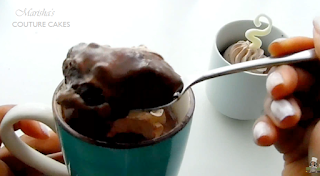 I made a couple of hot chocolate mug cakes that not only tasted like decadent hot chocolate, but looked like it also. 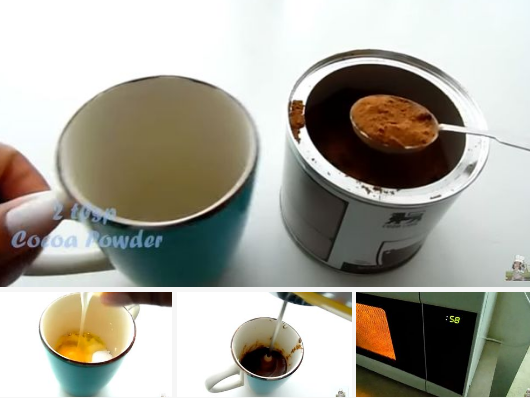 Add cake ingredients (sugar, cocoa powder, egg) directly to the cup and stir together until completely combined. Add as many chocolate chips as you'd like and microwave for 1 minute. 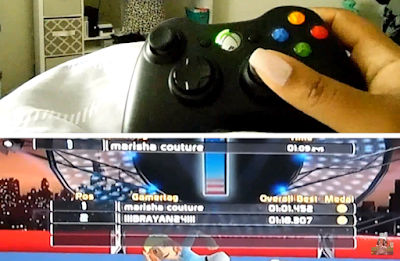 Add an extra 15 seconds if you'd like. 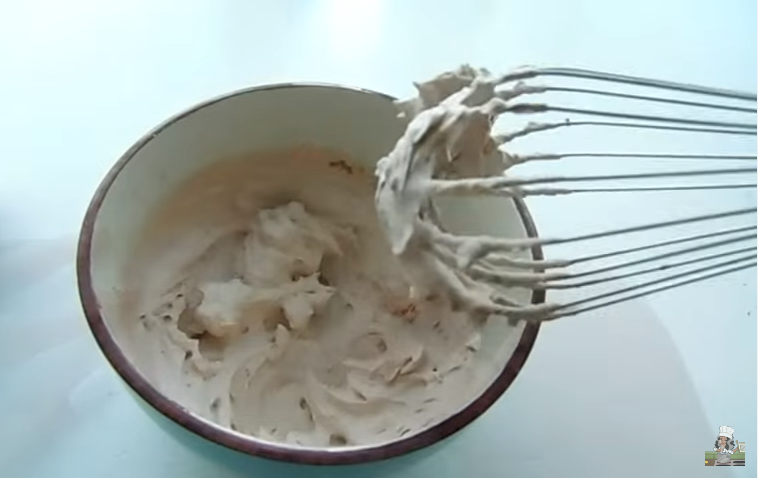 Combine the whipped cream ingredients (cream, cocoa, sugar) to a bowl and whip for a couple of minutes until stiff peak stage. Once they hold stiff peaks, stop whipping. 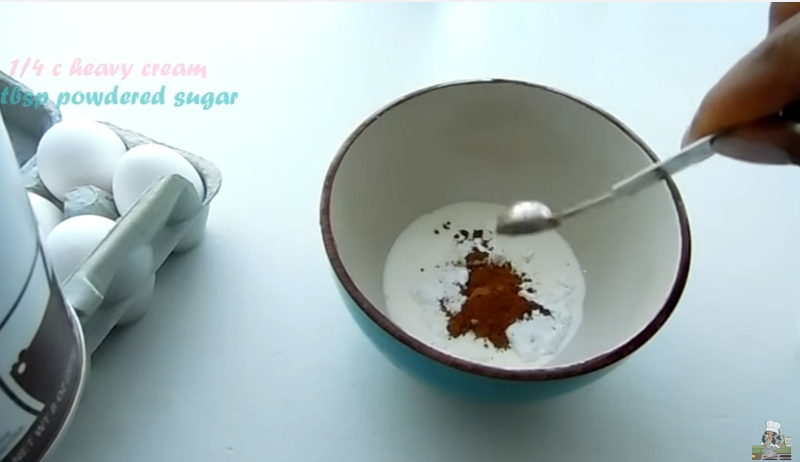 If you do over whip and the cream begins to break, add a small amount of cream and whip again to bring it back to life. 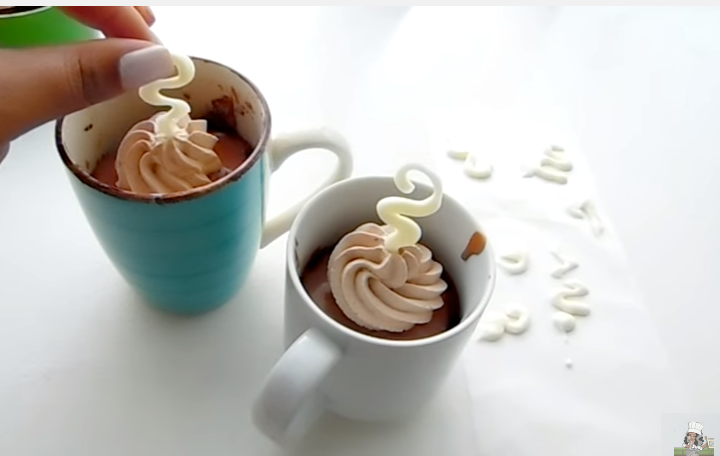 Put the whipped cream in a piping bag with a star tip and allow to refrigerate until your ready to pipe. This is what's going to create that perfect little touch to your hot chocolate mug cake. Completely melt down the white chocolate or white candy melt in a small bowl. I microwave my candy melt in a bowl for 1 minute 30 seconds while stirring everything 30 seconds. 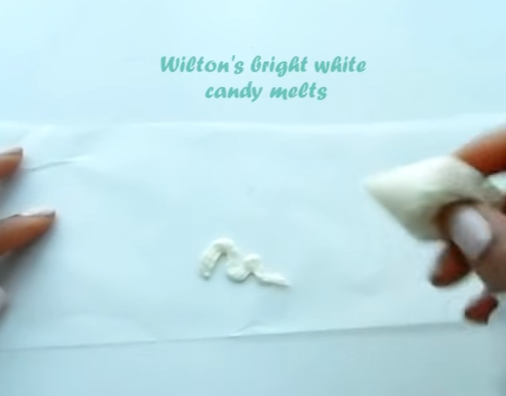 Carefully place candy melt in a sandwich bag and cut off a corner. On a sheet of parchment, create a smoke wave by piping a question mark shape and following through with a smaller wave and long tail (similar to a snake). Set this aside for about 5 minutes to harden. 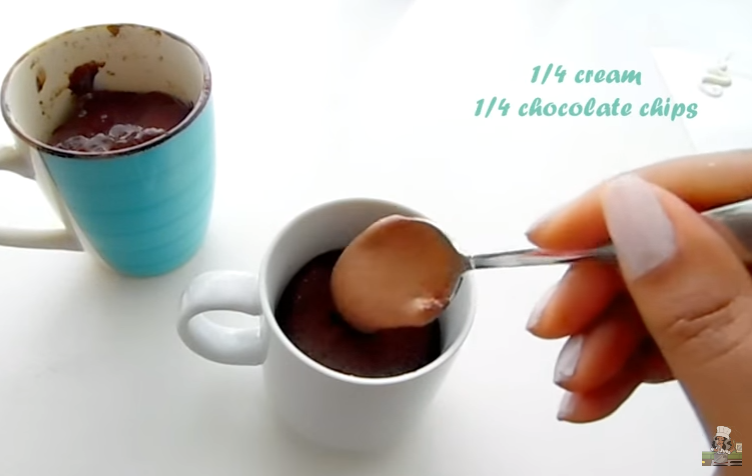 In a small saucepan (or microwave) combine the chocolate and cream. If using the stove, heat on low heat and stir slowly until completely melted. It's a small enough batch to do without a double boiler, but be careful not to scorch the sauce. 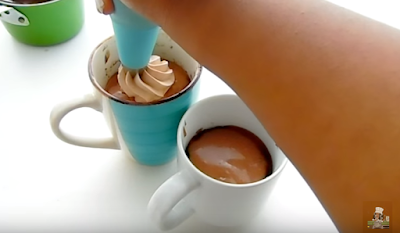 Spoon the chocolate ganache over the cake and tap the mug a few times to allow for the ganache to settle into any crevasses and create a smooth surface. 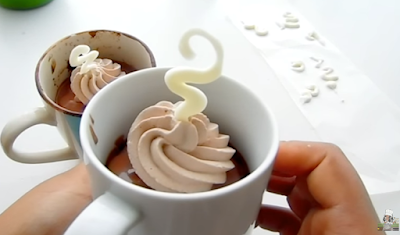 Pipe a swirl of chocolate whipped cream on top of the ganache. 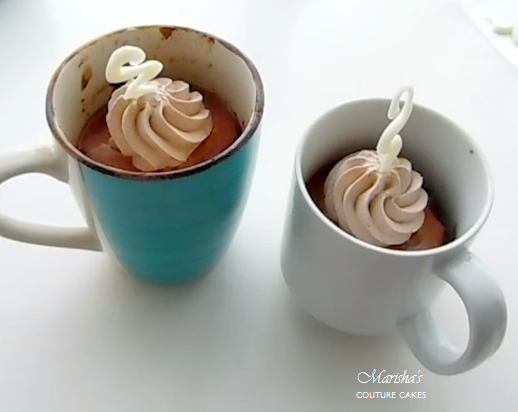 Finish with a swirl of white chocolate smoke.